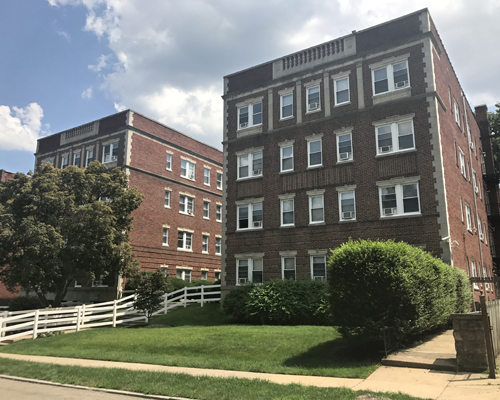 Marcus & Millichap is pleased to announce the sale of Residence at Overbrook – A 127-unit property in the Overbrook Farms neighborhood of Philadelphia. 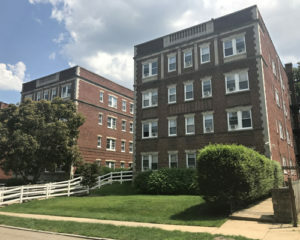 PHILADELPHIA, June 27, 2018 – Marcus & Millichap (NYSE: MMI), a leading commercial real estate investment services firm with offices throughout the United States and Canada, announced the sale of Residence at Overbrook, a 127-unit apartment complex featuring studio, one-bedroom, and two-bedroom units, located in the Overbrook Farms neighborhood of Philadelphia, Pa. The asset sold for $13,026,478, equating to about $102,570 per unit. Clarke Talone, Andrew Townsend, and Ridge MacLaren, investment specialists in Marcus & Millichap’s Philadelphia office, had the exclusive listing to market the property on behalf of the seller, a limited liability company, who owned the property since 2014. The buyer, a local private developer with experience and a track record in the neighborhood, was secured and represented by Talone, MacLaren and Townsend. Residence at Overbrook is located at 6358 Lancaster Avenue and 6312 Sherwood Road in Philadelphia, Pa. Situated near Saint Joseph’s University and City Avenue, the property is just a short walk from the Overbrook stop on SEPTA’s Paoli-Thorndale regional rail line. The seller recently put capital improvements in the property, including updating the lobbies and hallways, and upgrading more than 20 bathrooms. Numerous properties in the area have capitalized on the area’s demand, and are achieving higher rents after undergoing renovation programs.